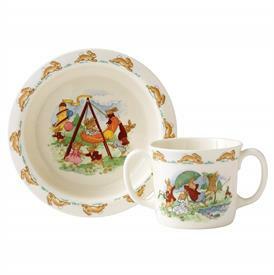 Royal Doulton BUNNYKINS List of In Stock items. -NURSERY 2PC SET. INLUDES STAINLESS SPOON AND CHILDS PLATE. Nursery Set - Baby Plate and Feeding Spoon.